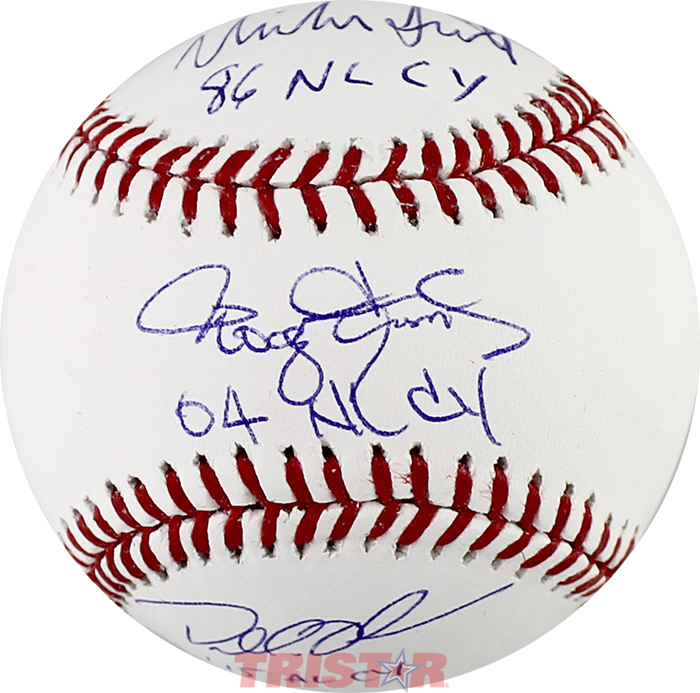 This Rawlings official Major League baseball has been hand signed by Houston Astros Cy Young Award winners Mike Scott, Roger Clemens & Dallas Keuchel. Mike Scott has inscribed "86 NL Cy", Roger Clemens has inscribed "04 NL Cy", and Dallas Keuchel has inscribed "15 AL Cy". Each autographed baseball is a limited edition of 72, and includes an individually numbered, tamper-evident TRISTAR Authentic hologram.